Texture quality Below, you can set the texture quality of the 3D boxes. Please mind, that a higher quality settings means more data downloaded. In case you'll click through all boxes in 3D on the highest setting, you'd download a whopping 2.6 GB of data! About me A few lines about me and my collection. I got my C64 back in the late 80s and from then on out the ten year old me saved up every coin for getting new games for it. 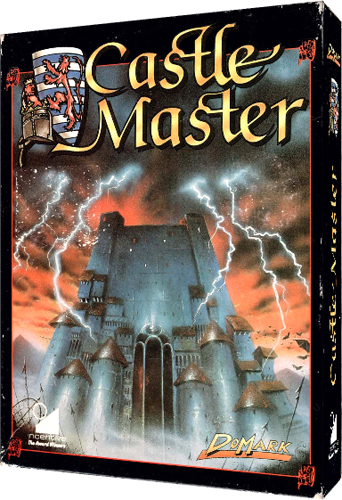 Most were Mastertronic titles on tape that came in plastic cases, but it was the copy of Castle Master that made my eyes shine: it was on tape too, but instead of a dull case, it came with a printed manual and a shiny cardboard box — my first big box. Later, the heyday of big boxes came around. 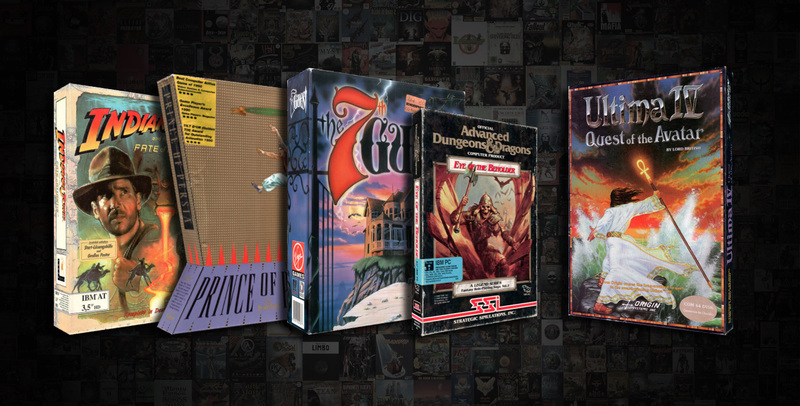 Almost all PC games had them and in it were not only the disks or CDs of the game, but also printed manuals, cloth maps and other feelies. Prices were significantly higher than in the 8-bit days, but I've learned to be patient and got many of my games a couple of months after release day and therefore for a fraction of the common ATS 599 (± ATS 100) which converts to EUR 69 (± EUR 10). Jup, folks, games weren't that cheap either 20 years ago. In the early 2000s, big boxes began to disappear. First, smaller boxes came around which then got replaced with DVD covers. Then, the IMHO dragged concept of Collector's Editions came along: get your game in a box with a printed manual and a goodie. Yeah, like it used to be a decade ago but now, it's for 'the fans' who are willing to spend an extra EUR 20. Needless to say, getting new boxes was getting rarer and rarer for me with TES: Morrowind being one of the last. Tip Jar Got a spare box? Or some change? Honestly, this site is mainly for my own pleasure. Getting my games up here, ready to be clicked through at any time is something I'm really fond of. Having sources like MobyGames, The Legacy or Wikipedia is nice and I'm of course a heavy user myself of their offers, but in regard of big boxes, simple cover scans just don't cut it. And that just might be your cue. What if you're a big box fan too? What if you wanna see a specific title that's not yet in my collection? You'd be willing to split with your copy? Get in touch with me. You don't have a copy or won't part with it? 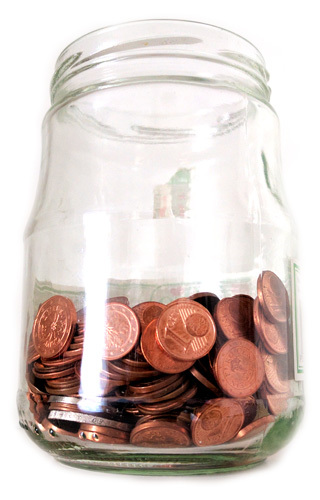 Send me a buck or two and help keeping my collection funded. Here's my paypal.me link. 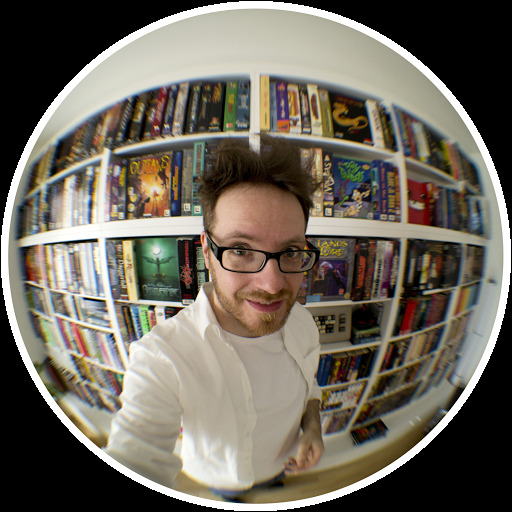 Embed your own Big Boxes! Wanna add 3D Big Boxes to your site? Over the past months, I've been asked a couple of times how my 3D boxes work. Instead of explaining it over and over again, I've sat down and compiled a little .zip containing everything you need (incl. three.js) for adding your own 3D boxes to your own site. The zip also contains instructions how to do so and a litte tool for getting your parameters right. The embedded boxes are rotatable and (if configured) zoomable and allow (if configured) to be opened fullscreen in a new tab. Further, mouse and touch inputs are of course supported too, just like the ones on my site. Remember when video games came in big boxes?I most certainly do as I'm collecting them. For sharing my games with other (retro) gaming heads, I decided to turn my collection of over 529 boxes into shiny 3D. As of now, % of my boxes are available on this site. The tech behind the 3D boxes is simple: first up the game boxes' front, back as well as right and left side are scanned. Then a single texture is created and attached to a 3D mesh based upon the boxes' actual dimensions. All boxes can be zoomed and rotated as well as downloaded as papercraft models. Click on any game listed below to get the game's box in 3D as well as additional data and trivia bits. Boxes in queue to be addedLet's be honest here, I'm a collector, which means that there's always more game boxes on their way onto my shelf. While some are still on the road, others are already on my physical shelf but have not yet been scanned and uploaded. Below, a glimpse of future updates of my 3Dified big box collection. Please mind, that the covers below aren't scans but mere place holders taken from mobygames.com. 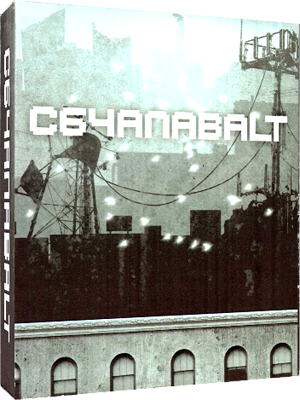 Images below are covers taken from the fantastic site mobygames.com. For Trade/SaleMe, I'm not really into reselling games but as I'm buying games in bulk every now and then, I do end up owning more than one copy of a particular game or worse of the very same edition; Budget and/or re-releases are another reason to part with a game. Usually, I put up a classified ad and/or list it on eBay but I thought it might be of interest for those browsing my collection too. If you see something you'd like to have on your shelf, get in touch with me. Images below are covers taken from mobygames.com.